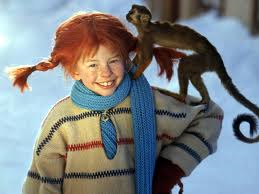 In a case reported here, the right-holders of the work of Astrid Lindgren had sued a supermarket offering carnival costumes of the literary figure of Pippi Longstocking for infringement of copyright and unfair competition. The alleged acts of infringement included distributing a prospectus with models being dressed with the costume. According to the case-law, the utilization of work products of third parties is generally allowable but can be considered unfair if specific circumstances appear to justify this finding. The action had been dismissed by the BGH insofar as copyright was concerned and had been remitted to the 2nd instance (OLG) to re-assess the claims based on competition law. The OLG found that the pictures with the models could be considered to be an imitation in the sense of § 4 Nr. 9 Buchst. a und b UWG but rejected these claims because no specific circumstances rendering the imitation unfair were recognizable. The case went back to the BGH which confirmed the result but for different reasons. According to the BGH, the imitation of a character of a novel by transferring features having features of competitive individual character into other product classes as this is the case for carnival costumes is possible but must not be assessed based on low requirements ("keine geringen Anforderungen"). In the case at issue, the overlap between the features characterizing the literary figure of Pippi Longstocking and the design of the carnival costume is sufficiently small to exclude an imitation. This applies to alleged imitations the character in the novel as such and is without prejudice to the claims based on unfair imitation of actual merchandizing products offered by the right-holder.